Monasteries form an integral part of Sikkim. There is a plethora of monasteries in Sikkim. In fact there are almost nearly 200 monasteries or Gompas belonging to either the Nyingmapa Sect or the Kargyupa Sect but Sikkim also has monasteries of the Gelugpa, Sakyapa and Bon faith. Lha-ri nying phu: The north face of the four, Lha-ri nying phu is situated at a 3-day trek precarious trek from Tashiding, west Sikkim. Not only is this the most difficult to reach, it is also the holiest. Its name means "the Old Cave on God?s Hill". Kah-do Sang phu: "The Cave of the Occult Fairies" is on the south gate and one of the easiest to reach. A five-minute walk across a pedestrian bamboo bridge from the Jorethang-Gyalshing highway just beyond Reshi hot-springs takes one to Kah-do Sang Phu where one can find footprints ascribed to fairies. Pe-phu: Placed between Tendong and Maenam hills in south Sikkim, Pe-phu lies near Sangmoo Gumpa about 5 kms from Ravangla, south Sikkim, en route to Singtam. A huge cavern, believed to extend by a bifurcation to both Tendong and Maenam hill, visitors can still walk in about a quarter of a mile. As low as five feet at places, the cave opens up to a towering 100 feet at some sections. De-chhen phu: "The Cave of Happiness" is accessible only in autumn when the snow that hides it, melts. 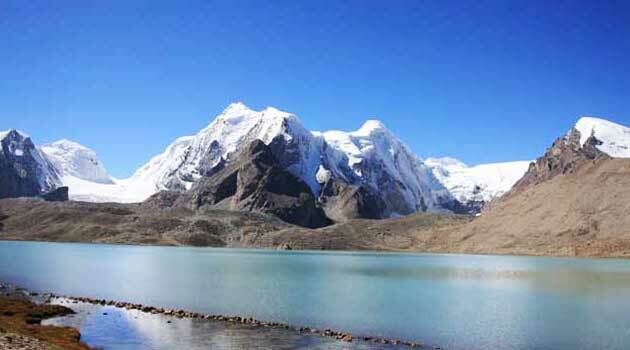 Distanced from Rimbi, west Sikkim, by a 3-day trek, it lies in the snows above Dzongri. Monasteries are almost always translated as "Gompas". This is, however, a misinterpretation. Gompa literally means "a place of solitude", a religious escape where monks are trained in the finer aspects of Tibetan Buddhism practised here. Most gompas in Sikkim are found in solitary places since isolation from the world has always been a important for Buddhist learning; not as an act of self-punishment, but merely as an escape from mundane temptations.Monasteries usually occupy commanding and frequently picturesque sites. A choice made easy by the two conditions laid in a guiding couplet on where a monastery should be built; "Back to the hill-rock, And front to the tarn". A monastery, wherever possible, should be built on a ridge and have a lake in front. The door of the assembly room and temple should preferably face eastwards. South-east is the second choice and then south. A stream draining the site is considered inauspicious as monks believe that this would drain away all the virtue of the place. If such a location is unavoidable, then the main door is made to face another direction. A waterfall, is, however, considered a good omen and if one is visible from the monastery, then the door is made to face that direction. The monastic buildings cluster around the main building which is also used as the Assembly Hall or du-khang. Lining the approaches to the monastery are rows of prayer flags and chortens. These are only temples and not also schools like gompas. Normally situated near villages, these normally have only a few monks ministering to the religious needs of the villagers. A short drive from Gangtok through the beautiful countryside one finds themselves in Rumtek Dharma Charma Chakra Centre. It was constructed by His Holiness the late 16th Gyalwa Karmapa in 1960. It is believed that the monastery is an excellent replica of the original Kagyurpa Monastery in Tsurphu, Tibet. The centre houses some of the world's most unique religious scriptures, manuscripts and religious art objects.A fifteen minute walk downhill from Dharma Chakra Center takes one to the old Rumtek monastery which was originally built in 1730 by the ninth Karmapa but was destroyed by fire and had to be reconstructed to the present state. His Holiness late Gyalwa Karmapa lived in this monastery till the completion of the Rumtek Dharma Chakra Center. The annual dances also called the Tse-Chu Chaams are held on the 10th day of the 5th month of the Tibetan calendar around June. Dances called the Kagyat are also held here on the 28th & 29th day of the tenth month of the lunar calendar. Around 6 km from Gyalsing town, this monastery originally built as an small temple in the last of 17th century by Latsun Chempo, later during the reign of third Chogyl Chakdor Namgyal, Jigme Pawa, the third reincarnate of Latsun Chempo extended and rebuilt the temple structure into a monastery.The second oldest monastery, it is situated at a height of 6,840 ft is the head of all others and belonging to the Nyingma-pasect. Presenting a gorgeous view of the mountain ranges, it is now equipped with 50-bed Tourist Lodge catering to travellers who want to visit this ancient and holy place which is an ideal base for those who would like to explore the unspoiled charms of the neighbouring spots and trek to Yuksom and Dzongri. Rabdanste, which is couple of kilometers from Gyalshing bazaar and near the Pemayangtse monastery, was the second capital of Sikkim and was established in the late seventeenth century by the second Chogyal of Sikkim. 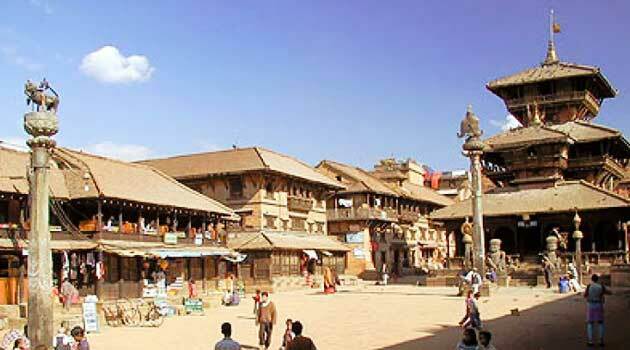 It was abandoned towards the end of the eighteenth century because of the threat posed by the Nepalese and the capital was shifted to Tumlong. The Rabdanste Palace is in ruins and one has to trek about two kilometres from the main road near Pemayangtse monastery through a thick forest to reach it. The chortens around the palace have however withstood the elements of nature. The ruins are now being preserved by the Archaelogical Surnvey of India and have been declared as a monument. Just adjacent to the Pemayangtse monastery is Mount Pandim Hotel. Daily buses are available form Gangtok to Gyalsing. Do Drul Chorten at Dotapu Chorten, Gangtok was built under the supervision of the late Most Venerable Trulshi Rinpoche after due prepartions in 1945-46, in accordance with the prophecy made in 1944 by his Holiness the Dud-Zom Rinpoche. Placed inside the Chorten are a a complete mandala set of Dorji Phurpa (Bajra Kilaya), one set of Ka-gyur holy Books, relics, complete 'zung'(mantras) and other religious objects. This chorten is considered to be one of the most important chorten of Sikkim. Around the chorten 108 Mani-Lhokor (Prayer Wheels) are installed. The Chorten is surrounded by Chortne Lhakhang, Guru Lhakhang, where tow huge statues of Guru Rinpoche (Guru Padmasambahava ) are installed, Drupda( Meditation Centre), Nyingma Shede (Institute of Nyingma Higher Studies) and many smaller monuments including the 'kudung' of the latter Most Venerable Trulshi Rinpoche. The Sikkim Research Institute of Tibetology and other Buddhist Studies (SRITOBS) is located near the Chorten. His Eminence Dodrup Chen Rinpoche of Sikkim has his seat at the Chorten Lhakhang and guides the disciples, including the inmates of the Drubda, in their search for higher knowledge and practice of the tenets of the Nyingma Order. This monastery in North Sikkim was built during the time of Jigme Pawo. Belonging to the Nyingmapa order, this monastery, first established in 1840, stands testimony to the dedication of its monks who reconstructed the monastery within a year after it was burnt down in 1947.The monastery is situated on a gentle slope stretching fom Kabi to Phodong in north Sikkim. There are around 300 monks under the monastery and is famous for the main annual Chaam (monk dance) performed on the 28th & 29th days of the tenth month of the Tibetan Calendar which normally corresponds to the month of December. Its name translates as "The excellent Banner" or "Good Bliss". This monastery was built by the Chogyal Gyurmed Namgyal somewhere in the first quarter of the eighteenth century in Phodong in North Sikkim. It belongs to the Kagyupa Sect and it is said to be the first Kagyupa monastery to be set up in Sikkim. It is famous for its exquisitely delicate mural painting and frescoes. The original monastery has been rebuilt and is today one of the most beautiful monasteries in Sikkim. It possesses the old mural paintings and has around 260 monks. Like the Ralong and Rumtek monastery the main annual Puja is performed on the 28th & 29th days of the tenth month of the Tibetan Calender when the religious dances are performed. Labrang Monastery is situated in North Sikkim, built 2 kms further up hill from Phodong Monastery. This is a much older structure. It is also unique in the sense that unlike most monasteries which were razed by fires sometime or the other, this one still retains the original structure. A pleasure for the eyes given its unique architecture, it is also one of the premier monasteries of Sikkim. The location is a wide and open meadow, ideal for congregations. Dense forests surround the southern, western and northern sides of the compound. Gyalshe Rigzing Chempa commissioned Labrang Monastery in 1814, who then resided in Wangdiche, a palace in the vicinity. It adheres to the Nyingmapa School of Tibetan Buddhism as this was the prevalent school of monastery and inception. Its name literally means "the Lamas dwelling". It was consecrated to the memory of Latsun Chembo of Kongpu of Tibet, who initiated and propagated this school of Buddhism in Sikkim. Just below the road between the Phodang and Labrang Monastery are the ruins of Tumlong, the third capital of Sikkim. Located on a beautiful hill top it is a Tibetan refugee monastic institution established in 1961 by his Eminence Luding Khen Rimpoche, Head of Ngorpa, sub-sect of the Sakya Order, with the blessing of H.H. Sakya Trizin and H.H. the Dalai Lama. This is the only monastery of the Sakya Order of Tibetan Buddhism in Sikkim. The royal chapel, Tsuk-La-Khang, is located within the Royal Palace premises near the Ridge Park in Gangtok. It is two storied and is the principal place of worship and assembly and the repository of a vast collection of Buddhist scriptures. A magnificent portal breaks the starkness great facade, at each corner of the building, is a wood sculpture relief, the formidable head of a snow lion. Resplendent Buddhist murals span the stoutly ornate wood of the wall, while the eternal butter lamp burns before the floor ceiling altar; the air of peace and calm is heightened by the fragrant juniper incense that pervades chapel air. Phang Lhabsol and Losoong( Tibetan New Year) Festivals are celebrated in the ground adjacent to the monastery once every year with the performance of the Chaams or the masked dance. A venue of ceremonies of national importance in the olden days, it was here that the kings of Sikkim have been coronated, their children married and their council sworn in. A beautiful and impressive building which is the principal place of worship and assembly for Buddhists. This royal chapel is repository of a large collection of Buddhist scriptures. Interiors of this building is covered with murals and lavishly decorated altars holding images of the Buddha, Bodhisattva and tantric deities. The chapel is the site of many festivals and the most interesting of them being one dedicated to the God of Khangchendzonga. The other important festival is the celebration of New Year, when the famous Black Hat dance is performed demonstrating the triumph of good over evil. Dubdi Monastery, one of the oldest monastery in Sikkim, is located at the top of a hill about an hour's walk from Yuksam. Also known as the Hermit's Cell after its reclusive founder Lhatsun Namkha Jigme, it was built by the followers of the Nyingmapa sect of Tibetan Buddhism. The trail to Dubdi winds through lush forests high above the village, offering scenic overlooks and impressive mountain views. For bird watchers, an early morning or late afternoon visit is particularly rewarding. Dubdi means 'the retreat' . This monastery is located near Kewzing in South Sikkim. It was built during the reign of Chogyal Thutob Namgyal. This monastery is located just above the famous Khecheopalri lake near Yuksom. Melli basically means 'a lepcha village'. This monastery is located near Yuksom. Sinon means 'the suppressor of intense fear'. The monastery is located on a hill top. Dalling means 'the thunderbolt'. This monastery is situated near Kewzing in South Sikkim. Yangyang means 'the ridge of fortune'. This monastery was built in 1840 and is situated at a place called Yangyang. This monastery is located near Phensang which is on the highway between Gangtok and Mangan. 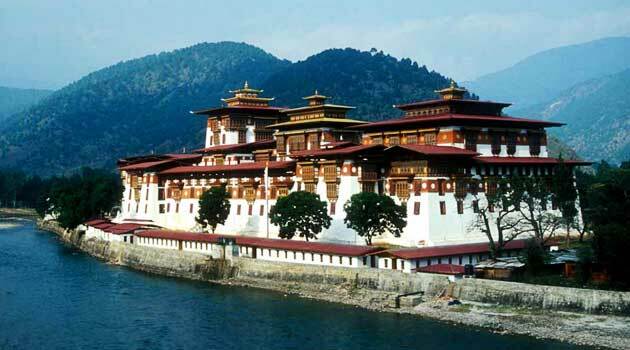 It was built during the reign of Chogyal Tshudphud Namgyal . The area around the monastery was initially surrounding by huts used for meditation known as Chamkhai. Later on the Chogyal of Sikkim gifted it to the nuns who used to meditate there and it was converted into a monastery. One of the few monasteries in Sikkim exclusively for nuns. 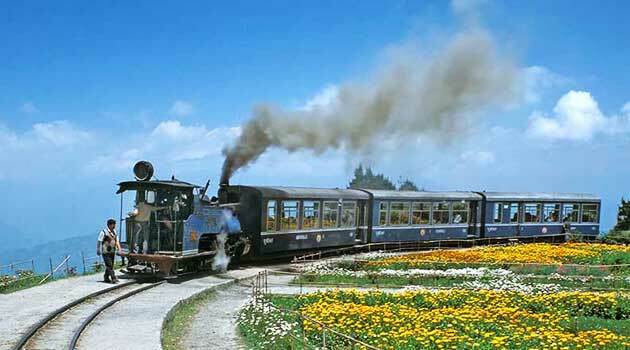 It is around 5-6 kms north of Gangtok. This monastery is located in East Sikkim near Pakyong. The present structure of the monastery was built during the reign of Chogyal Thutob Namgyal. Karthok Monastery is the sixth oldest monastery of Sikkim, an important seat of the Nyingma Order. The original monastery was destroyed and a new one is built in its place. The unique architectural design of the original was, however, retained. This monastery follows the Nyingma sect of Buddhism. It is situated in South Sikkim above Singtam. This monastery in North Sikkim follows the Nyingma sect of Buddhism. This monastery is situated in a small village called Sang near Rumtek. This monastery belong to the Karma Kagyu order and was built after the return of the fourth Chogyal form his pilgrimage to Tibet. The Karmapa performed the 'Rabney' (blessing) on its completion from Tsurphu itself, and grains from this ceremony fell on the ground at Ralong and were witnessed by the devotees. A few of the grains are still in the possession of some of the monks. Between 1975-81 the government reconstructed the monastery. The monastery has around 100 monks. The main ceremony falls on the 28th and 29th day of the tenth month of the Tibetan calendar, when the 'chaams' are performed. It is situated near Ravangla in South Sikkim. Old Ralang monastery: is situated 13 kms away from Ravangla with the spectacular peaks of Narsing, Jopuno and Kabur in the background. The monastery was built in 1730 on a site blessed by an earlier incarnation of Karmapa where the grains of rice thrown by him from Tibet had landed. The monastery is one of the most sacred and important monasteries following the Kagyupa tradition. ?Pang Lhabsol" the worship of Mt Khangchendzonga & " Kagyad " Chaam masked dances are held every year on the 15th day of the seventh month of the Buddhist calendar coinciding with August / September and on the 29th day of the tenth month just before Losoong - the Sikkimese New Year in December. New Ralang monastery: also known as the ?Palchen Choeling Monastic Institute?, was built by the XIIth Gyaltsab Rimpoche, one of the four regents of the Kagyupa sect and completed in 1995. This is the biggest monastery in Sikkim and its architecture and paintings have been painstakingly undertaken to maintain the authenticity of the Kagyupa monasteries from Tibet. The sacred ?Mahakala Dance? is held here every year in November. This is the only Gelugpa monastery in Sikkim and is situated near the Tibetan border. Being situated in Sosing in South Sikkim, this is the only monastery in Sikkim that follows the Bon faith.